L.S.L. Lawn Service, Inc. is a locally owned and operated lawn care service business based in Southern Maryland's Hughesville. We analyze your lawn determining what type of grass and soil it has, your turf’s density, exposure, diseases, insects, weeds and whether there is pet damage. 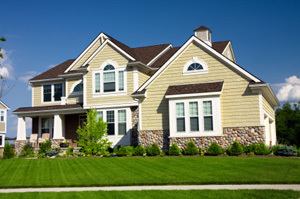 We then come up with a lawn service maintenance program catering to your lawn’s needs. Now Offering 10% Discount on Seeding. Since our staff has seen and done it all for 28 years, no job is too big or too small for us. Since we are a hands on business, we can be extremely flexible with our clients and pay attention to detail often overlooked by our large corporate competition. 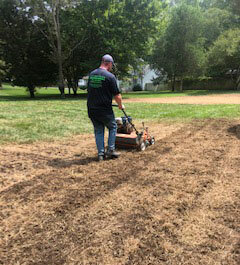 Our technicians evaluate and analyze each lawn and then treat it with the services it needs without needing managerial approval like some of our competition. We provide these lawn care services to homeowners in the areas of Charles County, St. Mary’s County and Calvert County and Prince Frederick Maryland, including these communities: Charlotte Hall, Mechanicsville, Hollywood, California, Leonardtown, Lexington Park, Great Mills and La Plata. To schedule a FREE Lawn analysis, Click Here. Green, environmental, and certified organic options providing strong and green lawns helping cool the environment, filter rainwater, prevent erosion and improve air quality. No long-term commitments; you are free to stop your program at any time. Will our fertilizers dry out my lawn during the summer? No, they help your lawn endure the summer heat and help your lawn's recovery when you water after a drought. Why won't my weeds die? Weeds start to curl and shrivel in about a week but may take up to three weeks to be dead. They can only be controlled in late spring, after they have sprouted. How soon can I water my lawn after a treatment? At least 24 hours is needed until our products are absorbed by the weeds. Are the beetles I see on my lawn grubs? After ornamentals, shrubs and some trees loose their leaves, beetles lay their eggs in the soil and hatch into grubs that feed on the roots of your lawn, depriving it of nourishment. Can you help with fleas and ticks in our yard? Can your weed control be applied on a rainy day? As long as the product is not washed off the leaf where it is absorbed, control will occur. Why are you lawn services better than others we have tried in the past? Our technicians evaluate and analyze your lawn and can treat your lawn without needing managerial approval like some of our competition. We are not satisfied until you are… Guaranteed. Can we mow the lawn the same day of treatment? Yes, but do not mow for at least 24 hours after we apply our weed control products. Do we need to stay off the lawn after treatment? 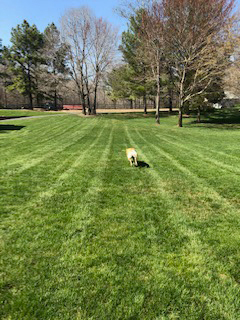 If granular treatment of fertilizers were applied you may enjoy your lawn but if a liquid weed control was applied usually one to several hours is needed for it to dry based on weather conditions. Our fertilizers contain many of the same active ingredients that your local nursery or garden store provides you. When our professional technicians comply with labeled instructions, they do not represent any significant hazard to your family or pets. We analyze your lawn determining what type of grasses it has, and if it has desirable or undesirable diseases, insects and weeds. Then based on the size of the lawn we can give the cost per lawn service maintenance application. We then determine soil condition, make up and if compacted and determine if the lawn needs: seeding, organics, aeration or full renovation. Humic acids stimulate the microbial action in the soil, reduces soil compaction, enhancing water penetration and stimulating seed and root activity. Humic acids improve the quality and density of turf and help increase the cation exchange capacity of the soil. This supplement increases the long-term health of the soil, improving the effectiveness of future fertilization applications and reduction in leaching in the environment. It is a process by which elements (phosphorus, potassium, calcium, magnesium, sodium, sulfur, manganese, copper and zinc) are chemically removed from the soil and measured for their “plant available” content within the sample. The quantity of available nutrients in the sample determines the amount of fertilizer that is recommended. Why do you need a soil test? Grasscycling is the natural recycling of grass clippings by simply leaving them on the lawn after lawn mowing. LSL now offers natural pest control without pesticides but with beneficial insects like ladybugs and nematodes which prey on harmful insects or their larvae. If you are concerned about Lyme disease and the existence of deer ticks (which carry, and spread, bacteria that cause it) in your yard, L.S.L. can apply a treatment to the area between lawn areas and wooded areas (where you find deer ticks) and to the lawn area if necessary to reduce in the number of ticks on your landscape. The mole and vole repellent products LSL uses are safe and effective products made with natural and environmentally friendly ingredients. These products are made with castor oil, an emulsifier, and cinnamon, garlic and pepper oils. LSL recommends that you let the repellent dry before you let your pet or children play in the yard because they may come in smelling like castor oil and garlic! LSL now offers Pasture Management to our clients in Southern MD. LSL offers pasture management practices that when applied to your pasture will enable you to get a better performance from it cutting back or even eliminating the need for supplemental feeding, thus keeping your livestock healthy, well fed, and also possibly saving you money. Let Us Help You Create & Maintain Healthy Pasture Grasses! Other food sources are insects, larvae, grubs and some moles will even eat mice if possible! .5 oz mole will consume 45-50 lbs of food a year! 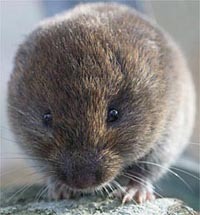 Voles are herbivore: eats grasses, seeds, root systems etc. 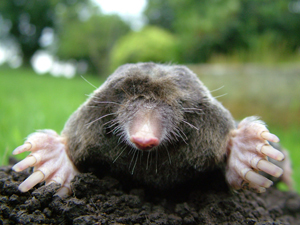 For Estimate on Mole or Vole control, click here. Ask us about the other services we can provide!